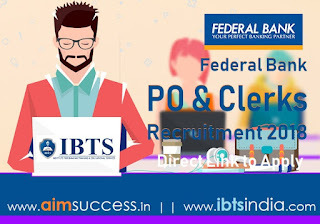 Federal Bank Recruitment 2018-19: Federal Bank has released the recruitment notification for the post of Bank PO - Scale I Officer & Clerk. All Eligible Candidates can apply for the post by filling their application form from 14th August 2018 to 27th August 2018. Selection is based on Online Aptitude Test for Officers and Clerks. Selected candidates will be on probation for a continuous period of 2 year. Candidates who are willing to apply can check the complete information of Federal Bank Specialist Officers (SO) in Scale-II Recruitment 2018 Complete details like - application form filling process, eligibility criteria, selection process, result etc available below Go through and apply online for Federal Bank Recruitment. The requirements of basic qualities for Federal Bank Recruitment are specified below. The eligibility criteria Federal Bank Recruitment must be noted. Only the candidates who satisfy the eligibility criteria can apply for Federal Bank Recruitment 2018 notification. Post-Graduates with minimum 60% marks in any discipline from a recognized University or any other Institutions are eligible to apply for Federal Bank Recruitment 2018 notification. Applicant must be completed their Post-Graduation during the academic years 2016-17 or 2017-18 (passing out the year of their post-graduation should be 2017 or 2018). Candidates should have completed their academics (from 10th onwards) in the regular mode of study. Graduates or Post-Graduates with minimum 60% marks in any discipline from a recognized University or any other Institutions are eligible to apply for Federal Bank Recruitment 2018 notification. Candidates with the highest qualification as Graduation should have completed them Graduation during the academic years 2016-17 or 2017-18 (passing out a year should be 2017 or 2018). Candidates with the highest qualification as Post-Graduation should have completed their Post-Graduation during the academic years 2016-17 or 2017-18 (passing out the year should be 2017 or 2018). Candidates should have a consistent academic record of minimum 60% marks from class 10th onwards (Graduates- 60% for 10th, 12th & Graduation) & (Post Graduates – 60 % for 10th, 12th, Graduation & Post–Graduation). The applicant age limit shall not exceed 26 years for Officer and shall not exceed 24 years for Clerks will be considered as eligible to apply for Federal Bank Recruitment 2018 exam. The Federal Bank authorities have given certain age relaxation for the applicant. Age Relaxation is common among the recruiting bodies. Now it will be applicable for Federal Bank Recruitment 2018 notification as per the Govt. norms. Presently the starting Basic Pay applicable to Officers (in Scale I) is Rs. 23700 in the scale of pay ` 23700 – 980/7 – 30560 – 1145/2 – 32850 – 1310/7 – 42020. Presently the starting Basic Pay (applicable to Clerks) is Rs.13075 in the scale of pay ` 11765 – 655/3 – 13730 – 815/3 – 16175 – 980/4 – 20095 – 1145/7 – 28110 – 2120/1 – 30230 – 1310/1 – 31540. Screening of candidates of Federal Bank Recruitment for the post of PO & Clerk exam need to clear 3 selection phases, which are given below. 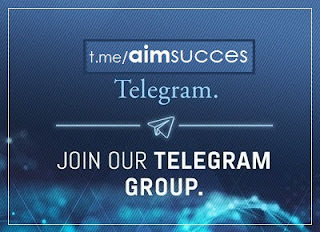 Selection will be based on Online Aptitude Test, Group Discussion, and Personal Interview or any other mode of selection which will be decided by the Bank. Non – Refundable application fee will be colled from the candidates who are ready to apply online for Federal Bank Recruitment 2018 Notification. How to Apply for Federal Bank Recruitment Exam? Federal Bank Recruitment Application submission will be through online mode. To make the application process easier, the candidates can follow the below steps to apply for Federal Bank Recruitment 2018 notification. Go to the Careers section and click on the Current openings, the new tab will open. 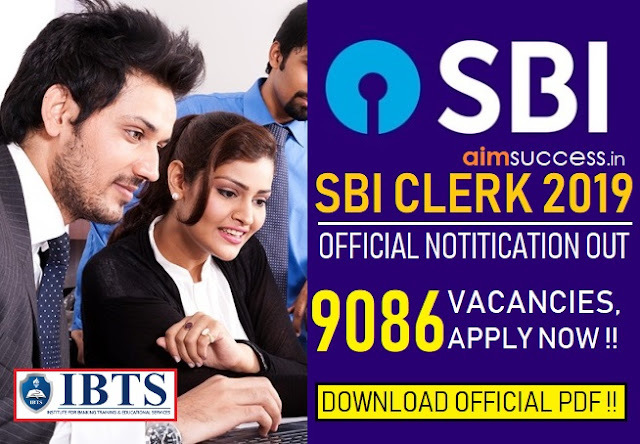 Upload the required documents which they asked for SBI Clerk 2018 Recruitment such as a scanned photograph, signature, and the other requirements. Thanks & Stay Connected for more updates related toFederal Bank PO and Clerks Recruitment 2018.